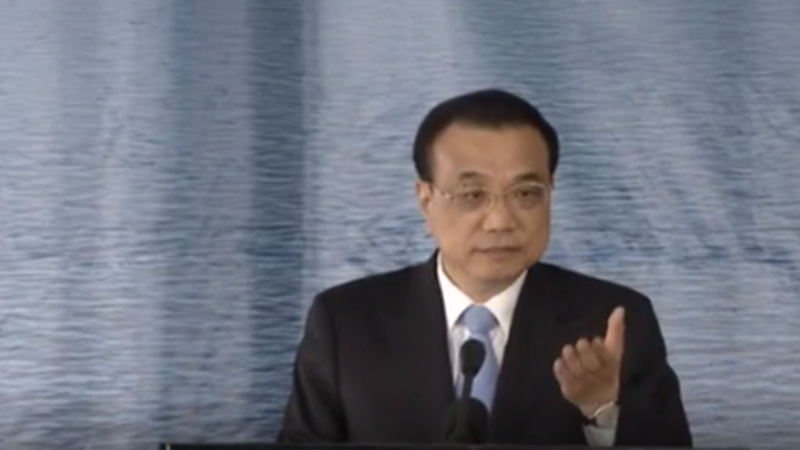 Chinese Premier Li and Croatian PM Plenkovic visited a major bridge under construction. The EU is funding work on the Peljesac bridge and a Chinese company won the contract. The bridge will connect two parts of Croatia now separated by Bosnia. Premier Li describes the project as a model of cooperation under the 16+1 framework and a symbol of friendship between the two countries. He said he hopes the project will be finished soon and help improve people's lives there.